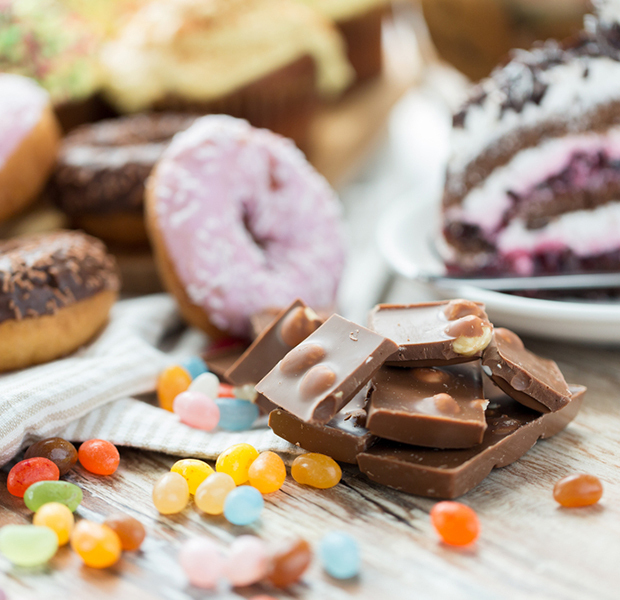 It’s a common throwaway comment: “Oh, I’m a sweets person,” or, “I prefer salty food.” But have you ever wondered what’s at the root of these cravings? Can a salty person become a sweets person or vice versa? Let’s dive into the science behind why we reach for potato chips or cookies. The reason you crave salt may be much more profound than you ever realized. Indeed, in nearly all cases, your salt cravings are actually signaling that you are deficient in this essential mineral. As I explain in my book, The Salt Fix, this is because your body controls the intake of salt, and when you don’t have enough salt, your body starts to crave it (similar to what happens with thirst when you need more water). The regulation of salt intake and increased salt cravings when you aren’t getting enough is part of a biological system in your body known as your “salt thermostat.” This system was formed over 100 million years ago in order to keep you from dying of salt loss. The possible underlying causes of salt cravings are numerous. For example, do you drink coffee? If so, you may not realize that consuming just four cups of coffee can cause you to lose an extra half of a teaspoonful of salt in your urine. Many common medications, such as diuretics, anti-diabetic medications, antipsychotics, anti-seizure medications, and even antidepressants can cause salt loss or low sodium levels in the blood. Exercise or simply being out in the heat is another potential cause of salt loss and increased salt cravings. Anyone who has been out in the summer heat for any extended period of time knows that their cravings for salt go up exponentially the longer they sit out in the heat (sweat means salt loss and, therefore, increased salt cravings). Numerous health conditions such as postural orthostatic tachycardia syndrome (POTS), certain kidney diseases (salt-wasting nephropathies), hypothyroidism, and adrenal or cortisol insufficiency can also lead to salt loss and increased salt cravings. In other words, your salt cravings may simply be due to your lifestyle, or they may indicate a much more serious underlying health condition. Regardless, in most cases, those salt cravings are trying to bring your body’s salt status back to optimal levels. So it’s probably not a good idea to fight our salt cravings. If you’re craving salt, try to consume it regularly, in a healthful way. I also always recommend using mineral salt, which is less processed—Redmond Real Salt is my favorite, as it lacks the anti-caking agents and other fillers that can give some salts a rather bitter aftertaste (making them even a bit sweet, perfect for those with sweets cravings as well!). In general, you can’t overeat salt via home cooking—the trick is cutting down on sodium-filled packaged food. Are you someone who constantly craves sugar? Do you feel like you need sugar just to get through the day? Unlike salt, it probably doesn’t mean you’re deficient in it. That’s because there isn’t any dietary requirement to consume a single gram of added sugar. However, those sugar cravings could mean that your body and your brain have become dependent on sugar. Indeed, after just a few weeks of consuming high amounts of sugar, the body can become insulin resistant, which means the cells that receive insulin are blocked, making it harder for your body to process sugar. When your body becomes resistant to the hormone insulin, your insulin levels will chronically elevate, and high insulin levels can lock fat and protein away in your body so you can’t readily access these nutrients for energy. When this happens, the only macronutrient that your body can easily utilize for energy is glucose (which makes up sugar). In other words, overeating sugar can keep your body dependent on its continual intake. One strategy to get off the sugar roller coaster is instead of going for that chocolate chip cookie, grab some dark chocolate (70 to 85 percent cocoa) with some protein- and healthy-fat-rich nuts, which can provide satisfaction and satiation at the same time. Sure, it’s easier said than done, but slowly lowering your intake of added sugars and refined carbohydrates can help fix insulin resistance and dopamine dependence. So the next time you reach for the sugar bowl, remember that it could mean you’re one step closer to becoming dependent on it—and being a “sweets person” doesn’t have to define you.